My students love word searches. Use these word searches to help early readers increase instant recognition of high-frequency words. Each word search features ten of the 100 most used words in reading and writing. 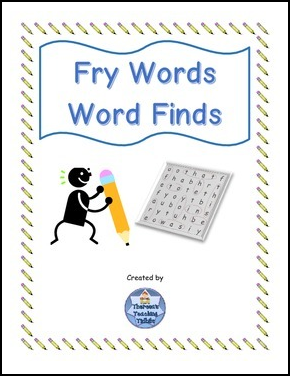 This freebie includes three different word searches with answer keys. If you use the Fry word lists for your word wall, this is a great resource for you! Want to find out about new products and sales? Make sure you click the green star to follow my store!